Tiles are one of the recommended flooring types by home builders. Marble tiles are versatile and look good on floors, walls, and hallway columns. Ceramic tiles, on the other hand, are a good alternative if you want flooring that needs waterproofing. You can install them indoors and outdoors. But cleaning tile flooring can be tricky. Use too much water and you could be loosening grout and adhesives. If you have unglazed ceramic tiles, you can’t just use harsh abrasives or strong soaps. That said, let’s talk about the best way to clean tile floors so you can keep yours in tip-top condition. Before we get to the best way to clean tile floors, let’s talk a bit about floor cleaning and safety. In a previous post, we listed down the seven health benefits of a clean house. We mentioned that bacteria can grow anywhere, which of course, includes your flooring. Regular floor cleaning will not only prevent bacteria, viruses, and other harmful microorganisms from growing. It can also reduce or help prevent injuries. The National Floor Safety Institute says that slips and falls are responsible for over 1 million visits to the hospital. To keep floors from getting slippery, immediately clean spilled food, grease, and liquids. And try to sweep, vacuum, and mop your floors with warm water once a week. For a deeper clean, try any of these three tactics. Don’t forget to sweep and vacuum first, so you can prep your flooring for a proper cleaning. For people who have concerns about commercial cleaning products, using vinegar and water is the best way to clean tile floors. Vinegar can deodorize, disinfect, and clean most hard surfaces. You can safely use it on your porcelain or tile floors to remove grease and hard water stains. If you want to get fancy, try adding a few drops of your favorite essential oils to your vinegar cleaning solution. To prepare, mix a quarter to 1/2 cup of white vinegar with a gallon of warm water in a bucket. Dip your mop into the bucket, wring it out, and thoroughly mop your tile floors. You can then dry your floors with a towel. Another option is to air dry your floors but make sure to open the windows if you can’t stand the smell of vinegar. Warning: Don’t mix vinegar with bleach. It will release chlorine and chloramine vapors, which are both toxic. When all you have time for is spot cleaning, you can use a commercial or homemade scouring powder. Just mix it with hot water and scrub away. You can also use scouring powder on counters, stovetops, and fiberglass surfaces. If you want to make it at home, you just need three ingredients – a cup of baking soda, 1/2 cup of salt, and another 1/2 cup of washing soda. You can also add some drops essential oil for scent. To use just spread the powder over the stain. Leave it for at least five minutes. Then use a soft brush to scrub the area. Rinse the area with warm water. If the stain is still there, you can repeat the process. Sometimes, the best way to clean tile floors is to keep it simple. You just need some good old dish detergent and warm water. Mix equal parts in a bucket, dip your mop in, and mop thoroughly. Allow your floors to dry completely, and you’re done! Now, if you want to make your own detergent, you can try this recipe. It uses lemons, white vinegar, and kosher salt. People often use “ceramic” and “porcelain” interchangeably when referring to tiles. But there are some differences between the two. Compared to ceramic tiles, porcelain tiles are more impervious to water filtration. They also have to be certified by the PTCA or the Porcelain Tile Certification Agency. This is why tile retailers sell ceramic tiles cheaper than porcelain ones. In terms of cleaning, there are different recommended methods depending on the type of porcelain tiles you have. Prepping is the same. You have to sweep or vacuum first before you can apply a cleaning solution. And when you do, make sure you do it on small areas at a time. You may have to use a floor machine with a special attachment (e.g. abrasive pad or nylon brush) if you’re dealing with difficult stains. If you don’t have one, you can use a scrub brush. The best way to clean tile floors of this type is to use a mild cleaning solution. Don’t use a broom or you might scratch the tiles. Use a dry dust mop instead. When drying, don’t do it too vigorously. Gentle movements will preserve the shine of your glazed porcelain tiles and help prevent water spots. Use a neutral cleaning solution. Add to hot water and stir. Then allow it to remain on the floor for at least five minutes. Next, use a brush and apply the two-direction method to scrub the floor. Rinse with clean water to get rid of the cleaning solution. You will need to do this once a day if you’ve installed textured porcelain tiles in a high-traffic area. Cleaning tile floors will depend on what type of tiles you have and which cleaning solutions you prefer. Of course, convenience is also a factor. 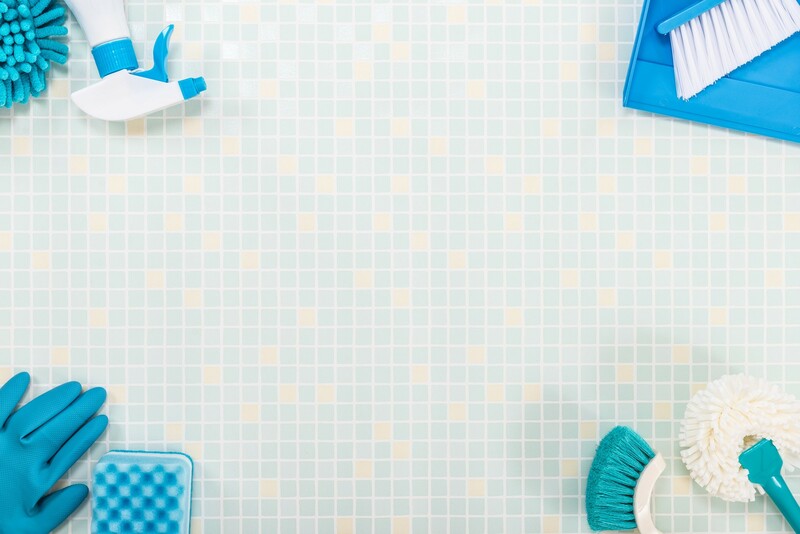 The best way to clean tile floors is one that makes it less of a chore for you. If you’ve already tried the cleaning methods above and still can’t get your floors sparkling clean, you might need to call in the pros. Professional floor cleaners not only use special tools to clean and disinfect stained floors, they also help with preventive maintenance. You may call us at (850) 871 2922 or email us at info@allstarsteamcleaning.com for more information about our carpet, upholstery, and tile cleaning services.